Who says a pirate can’t be sneaky, brainy, and FANCY? 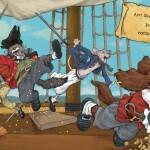 In Bad Pirate, unlikely buccaneer Augusta Garrick that integrity pays off, even when it means running against the pack. 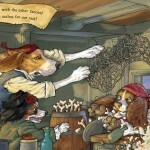 In Good Pirate, the sea pup is still under pressure to fit in, this time by abandoning her love for fancy things. 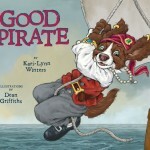 After all, says her father the captain, a good pirate must be rotten, sneaky, and brainy. But is there really any reason a fancy pirate can’t be just as ingenious as a rotten one? 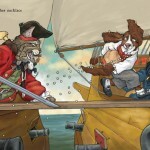 When the rest of the crew is captured by Captain Fishmonger’s mangy pirate cats, Augusta gets the chance to show just what a well-dressed, sweet-smelling, clever pup can do. 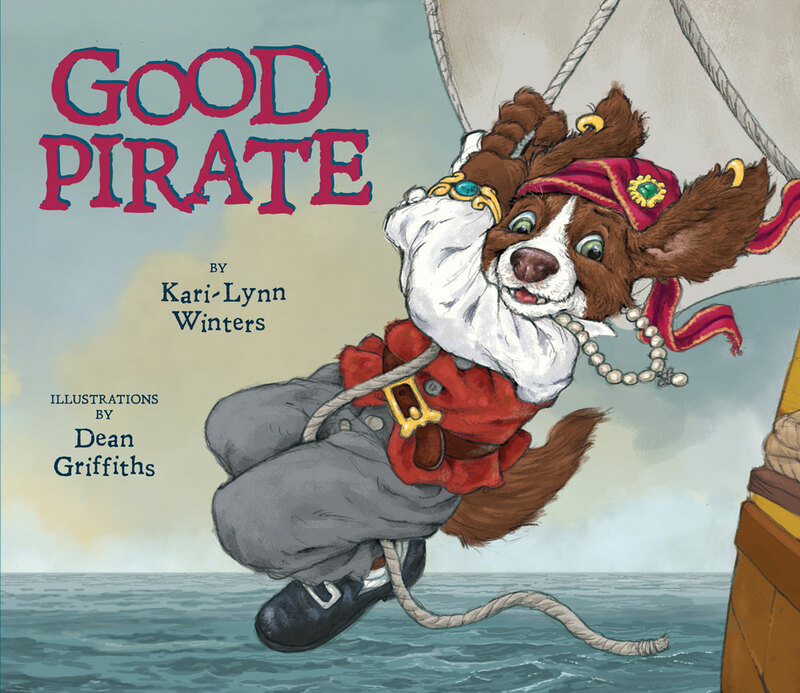 With swashbuckling energy and satisfying pirate dialogue, Kari-Lynn Winters has written a sequel worthy of Bad Pirate’s popular and critical success. Dean Griffiths brings personality to every crewmember, telling stories within stories through his richly detailed illustrations. A treasure for any landlubber who knows you can’t judge a mind by its cover.